"The shoot took four minutes, there was very little said during the time except some simple directions." I’m Kenneth Chou and I’ve been photographing with The Glenn Gould Foundation for several years. I am a professional photographer by trade and completed my undergrad in Fine Arts Photography, as well as my Masters in Documentary Media from Ryerson University. I am an avid street photographer and much of my interest is in documentary photography. I tend to work discretely and emphasize my craft on speed and observation. I believe in images that prioritize information over aesthetics. I’ve been photographing professionally for over ten years. I became aware soon after picking up a camera that photography was an incredible vehicle for going places and seeing things. I was also very much the awkward teenager that grew into adulthood being on the quiet and shy side; so being behind the camera gave me the confidence to socialize and has been a primary driver of my curiosities and obsessions. Some of my favourite places to shoot are the streets, I very much enjoy the physicality of photography, the randomness of street life and unexpected photographs are what I cherish the most. If you’d like to relate it all to music, I guess I would be a jazz guy. Right now my favourite camera is a little point and shoot digital camera, a Ricoh GR2, it’s light and pocket-able. I’m not a fan of using smart phones because it tends to throw off how I typically approach subjects, but I am a fan of small format cameras. I still shoot a lot of analog film cameras! Some of my favourite photographers who inspire me in my practice include Robert Frank, Elliott Erwitt, Nathan Lyons, Bill Cunningham, Mary Ellen Mark, Margaret Bourke-White, Alec Soth and Diane Arbus. I have always respected documentary photographers with a certain relentlessness in observation and doing so with a sense of purpose. We live in an age where photos have to matter more, I believe whether it’s information, content or context, they all have to resonate in the mass media world we live in today. My dream project would be to document mass migrations of species over today’s modern landscape. 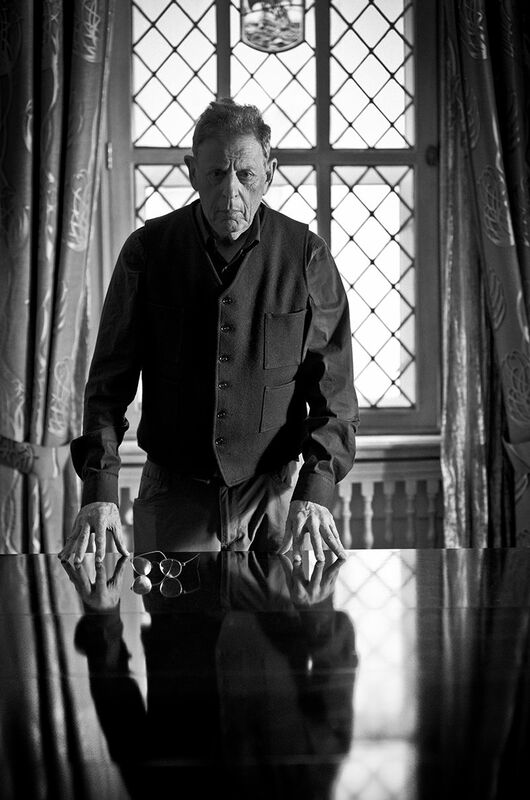 What was the setup like for shooting Philip Glass? The photographs were taken in the Prime Minister's Suite at Chateau Laurier. I used a black backdrop with a single light mounted on a dish. The image was taken with a digital SLR with a vintage 105mm manual focus lens. I was allotted 15 minutes to photograph which turned out to be really 10 minutes. My approach to photographing someone in a case where there is very little previous connection is to take a technical approach, execute and establish a base shot and if you can allow for a little time for experimentation. Some of my favourite portraits are environmental, which I believe tell a story about a person, time and place. I have a hard time wrapping my head about what is truth in a photograph, so in my opinion a camera is simply a vehicle I’ve chosen to go out into the world with and collide with reality. Doing it in a half hazard way is at least my small claim to some honesty, which isn’t to say it’s an unprepared process, but rather an approach receptive to some play and chance. Photographing Philip was a lot like an awkward dance (for the first time) to be honest, call me a pessimist but I can’t claim to have captured Philip in any way beneath the surface of things, at least that is not for me to decide. What I can claim is my craft, understanding of light and execution of making an image, which is something you do see with someone like Yousuf Karsh’s images (which was all over Chateau Laurier and very inspiring), you cannot deny his images exhibit his level of craft. That’s just it, collision of the craft (the person behind the camera and the sitter, the rest is up for everyone else to decide. The shoot took four minutes, there was very little said during the time except some simple directions. I have this thing where I will venture into some experimentation but you have to gauge how far you’d like to go after you’ve got the shots you need. I shoot a lot of regular everyday people whether it’s weddings or CEOs, in all cases you want to walk away on a high note, that you’re last image was the target and you’re not there to waste anyones time. And I wasn't about to waste Philips, he’s turning 80! Philip was a bit surprised that I was done so quickly and commented on how quick and efficient I was, I’d like to think I was also a bit of a minimalist, just like him. "I have always respected documentary photographers with a certain relentlessness in observation and doing so with a sense of purpose. We live in an age where photos have to matter more, I believe whether it’s information, content or context, they all have to resonate in the mass media world we live in today." Philip’s people got to see the images after it was all done and it’s probably the most nerve wrecking part of any photographer’s process. It turned out they loved it so much they are using it for his 80th birthday celebration at the Tibet US Benefit Concert at Carnegie Hall and possibly around the world, I’m very honoured! 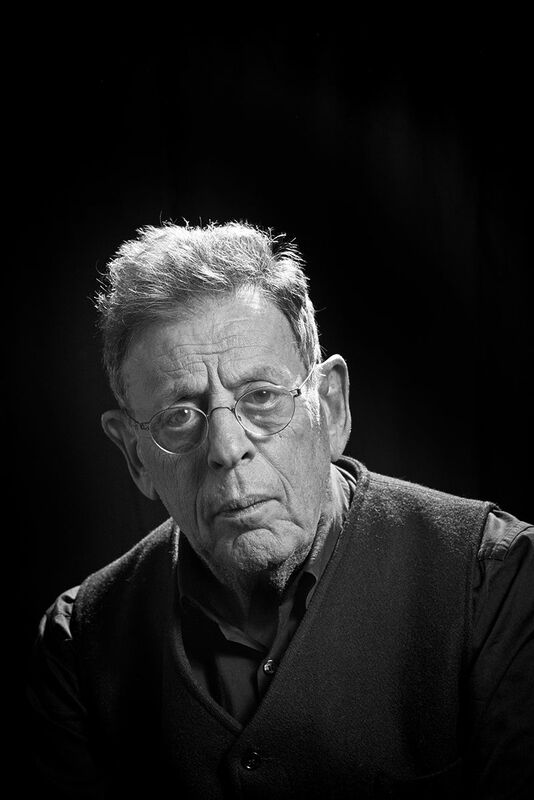 I’m also very gracious to the people at The Glenn Gould Foundation to have allowed me the opportunity to document the celebration of Philip Glass receiving the 11th Glenn Gould Prize. As anyone can imagine to be recognized for a lifetime of achievement is not to be taken lightly, it is especially outstanding to have that sort of recognition in the field of arts. Congratulations Philip! My work can be seen at www.kennethchou.ca, you can also find me on instagram. Interested in learning more about the Eleventh Glenn Gould Prize Celebrations? Check out our media galleries here.